JPMorgan Chase is holding its investor day in Manhattan today. The bank’s CEO Jamie Dimon is slated to speak and open up for Q&A this early afternoon. 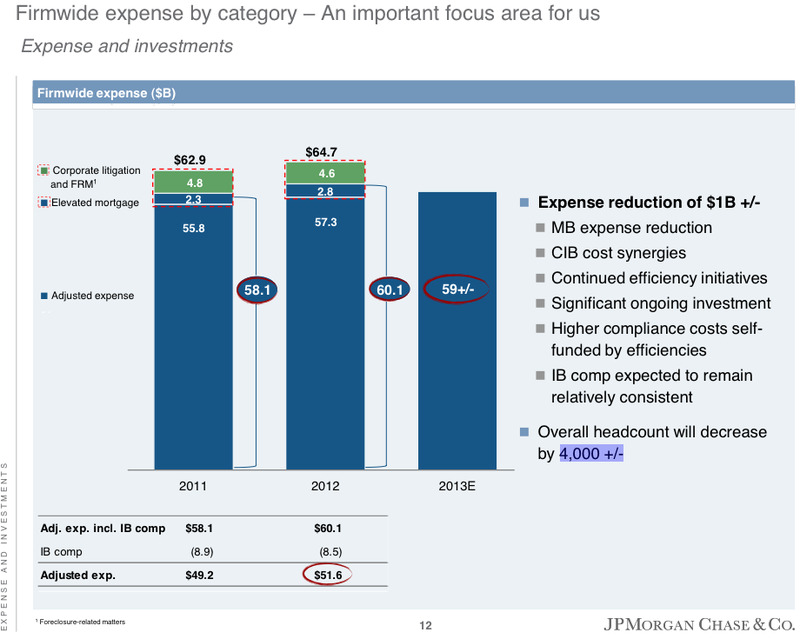 In the Firm Overview JPMorgan released, the bank said it expects to have expense reduction of $1 billion and about 4,000 in job cuts.